The tiny-living movement is thriving for a variety of reasons. An emphasis on minimalism, financial benefits and location freedom top the list. 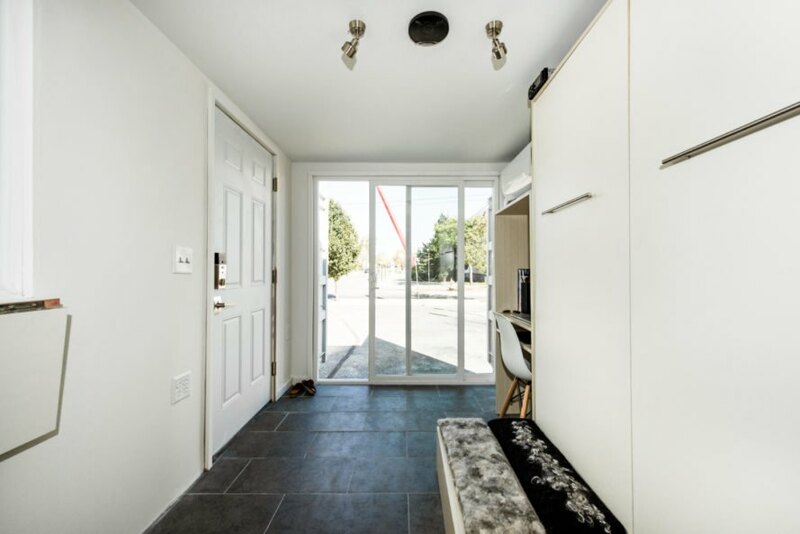 Many people who consider investing in a tiny home worry about size constraints, but the Calico tiny home by Katz Box offers a solution to that concern by offering a shipping container structure that adapts to its residents’ needs. 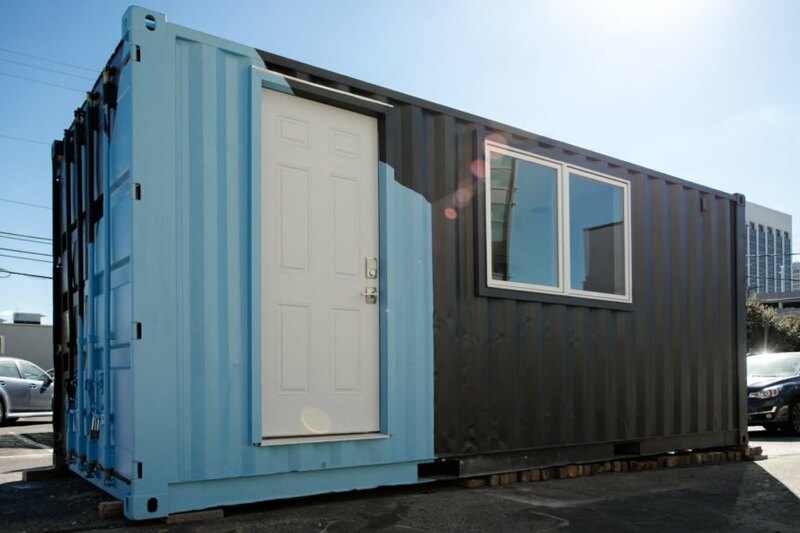 Sustainability drives the Ohio-based Katz Box company with the goal of lowering the environmental impact of housing through reclaimed and recycled shipping containers. On the manufacturing end, the team is also committed to focusing on processing that minimizes waste. In addition to creating an eco-friendly option through upcycling, the Calico design highlights a modular blueprint, meaning that each section of the interior is customizable to suit a variety of functions. An option for commercial or individual needs, the Calico provides a universal model to suit an endless array of demands, yet is completely tailored for a personal touch. The adaptable components don’t stop with the interior modular variations. In fact, this home can grow or shrink with the needs of the family. When more space is required, an additional shipping container or two can be added, making for a thoughtful and completely scalable design. Similarly, when the kids move out and it’s time to minimize, the added shipping containers can be removed. Mobility is another feature of the Calico, which can be relocated with ease. 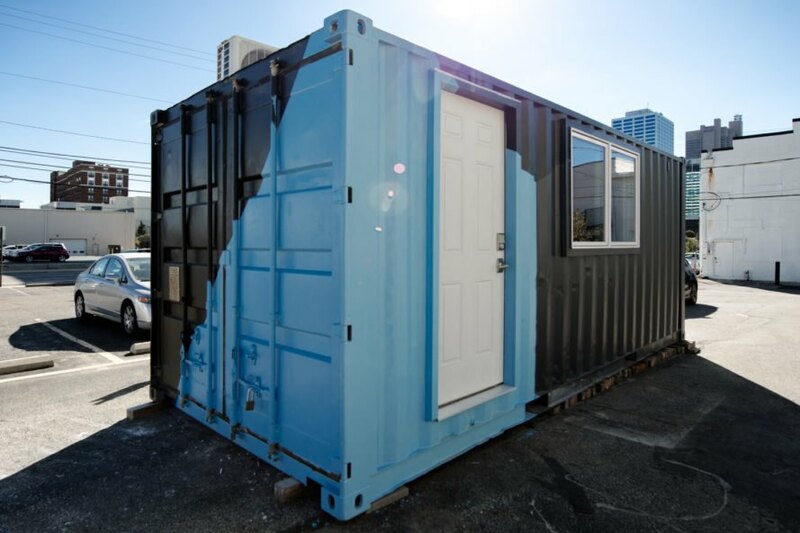 Appealing for the individual who moves often, it’s also an option for retail locations or temporary housing and offices, such as those on construction sites. 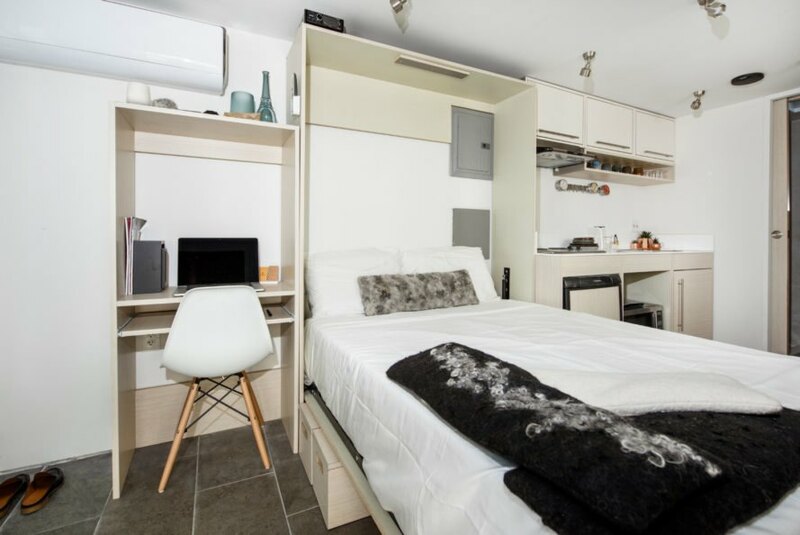 Katz Box, the passion project company born from the sustainable mindset of owner Tobias Katz, is a relatively new option in the tiny-living movement. 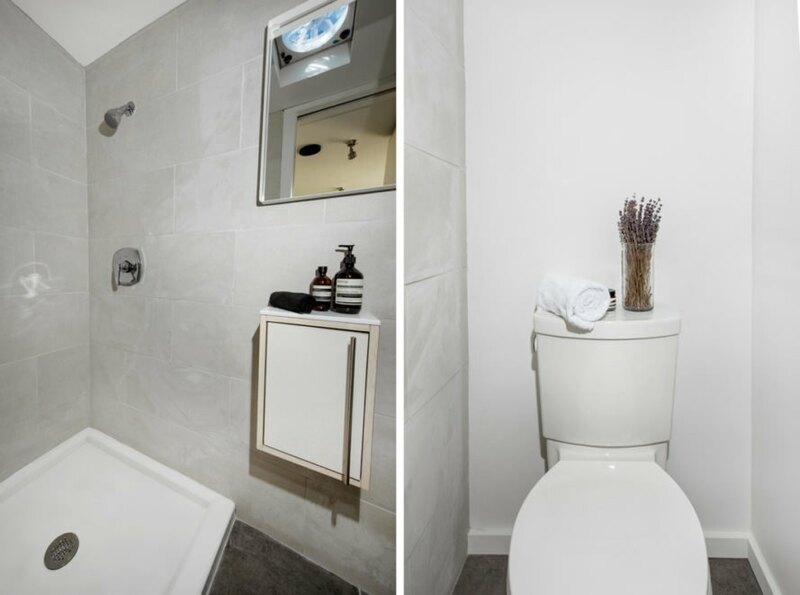 Founded in 2017, the objectives of Katz Box are many, including the goals of universal design elements and an accessible price point. Katz Box also aims to employ ultra-efficient building practices such as renewable energy and water conservation. 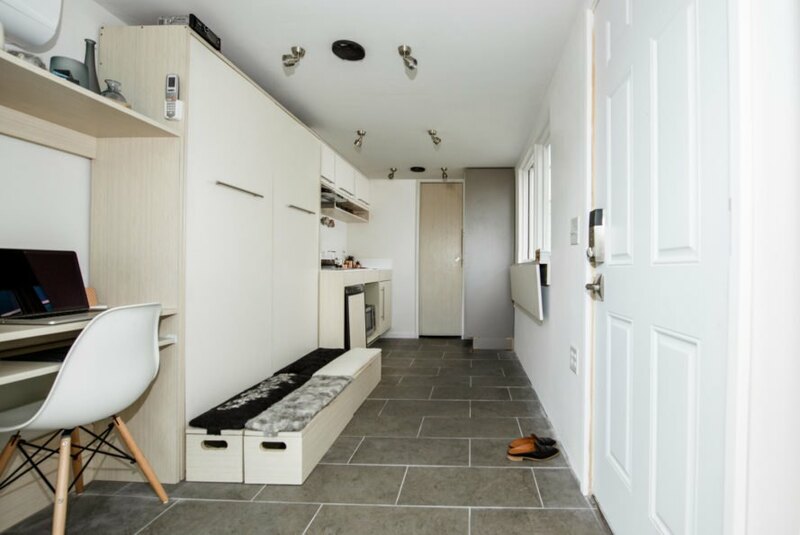 This tiny home is designed to adapt to its residents' needs. The home is built with a recycled shipping container. With everything folded away, the interior is roomy. A small dining table folds down from the window. A large cabinet hides a pull-out bed. The home has plenty of space for storage. 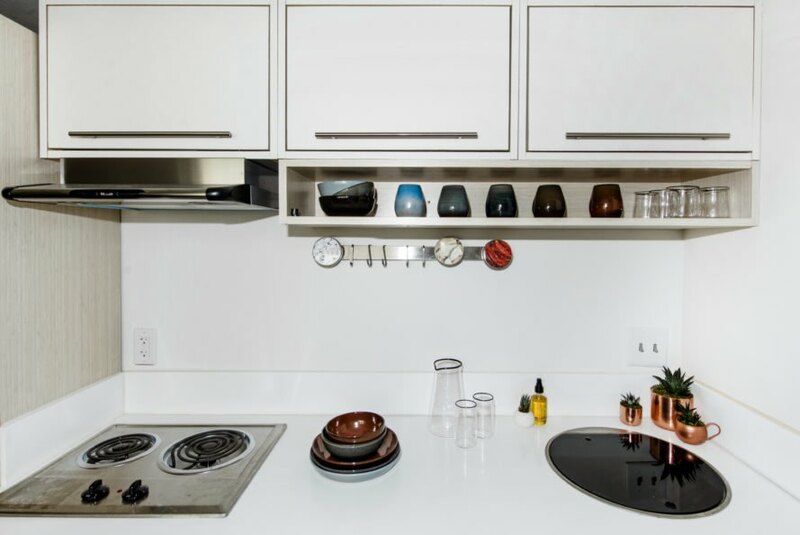 Even the kitchen features modular elements that change with your needs. Here, a kitchen sink hides in the countertop. The black lid opens to reveal the sink. The faucet is pulled out to make it functional. The home is bright and welcoming. For larger families, more containers can be added to expand the space.